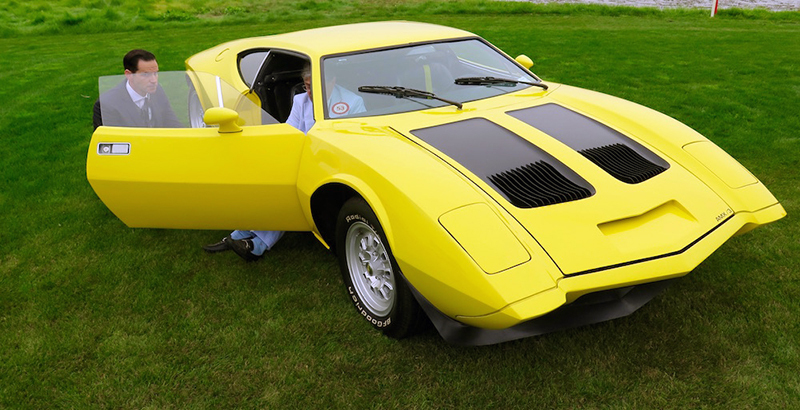 Earlier this year, we sang the praises of the AMC AMX as a classic car on the rise. 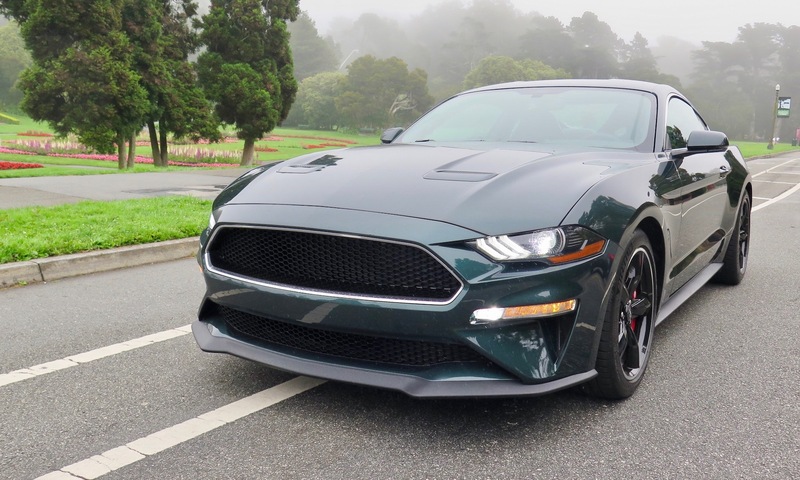 The model was noteworthy because its prices are still accessible to everyday collectors of both sports cars and muscle machines. However, that scenario could change now that an AMX/3 took top honors in the Bizzarrini class at the 2016 Pebble Beach Concours earlier this month. The AMX/3 is considered by many to be the sharpest design ever from American Motor Corporation (AMC). 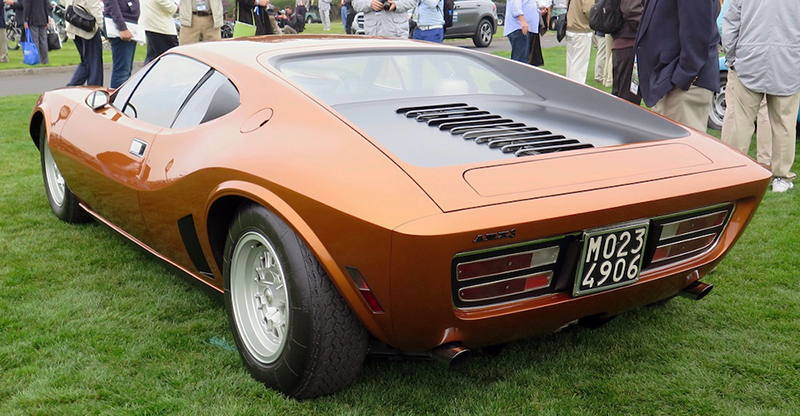 It came about when, in 1968, Richard Teague, AMC’s in-house designer, commissioned Italian coach builder Bizzarrini to design a muscle car for the company to compete with the likes of Ford’s upcoming DeTomaso Pantera. The Bizzarrini mid-engine design used a steel body powered by a 390 cubic inch 340- horsepower V8—AMC’s top engine at the time—mated to an Italian-made OTO Melara five-speed transaxle. 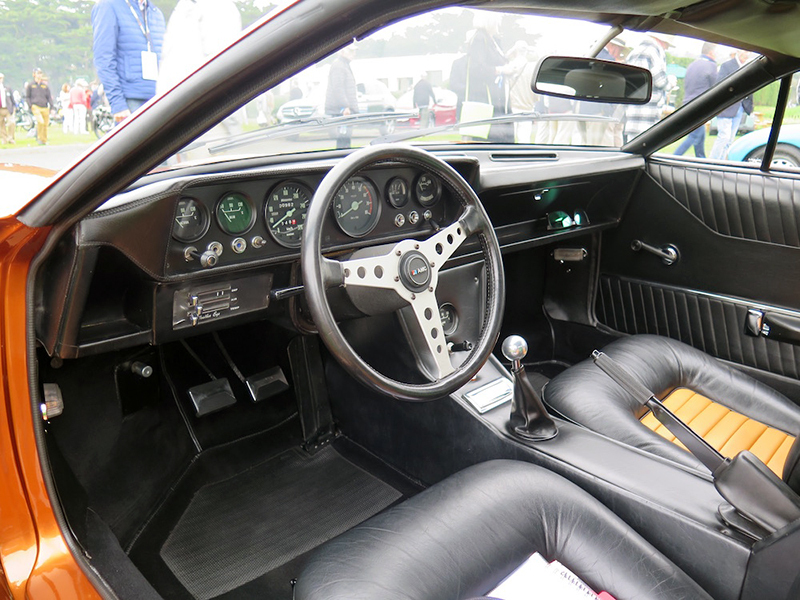 This setup gave the AMX/3 a top speed of 160 miles per hour. Unfortunately, when AMC sales sagged, and the company encountered unexpected engineering costs, the project was scaled back to just 30 cars. But after only five cars were built, the program was entirely cancelled. 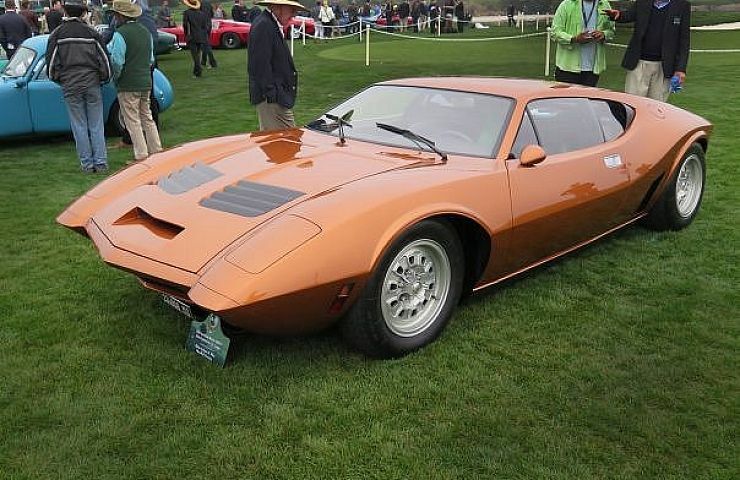 The winning car at Pebble Beach is AMX/3 Number 4. It was built in 1969, specifically to test the car’s handling and top speed. The evaluations were conducted for AMC by BMW at the Monza Autodromo in Italy. When the engineers took the car to 145 miles per hour, they saw that the engine still had more speed to spare. Yet, the car had a tendency of the car to lift at higher speeds, a problem that was remedied by a front chin spoiler. After the AMX/3 program was cancelled, Number 4 made its way back to the US where it changed hands several times over two decades. In 1989, the car went through a full restoration, using its appearance during the Monza testing as its basis. In the following year, the car was entered at Pebble Beach for the first time. Number 4 was sold again in 2014, this time to Jurgen Wilms, a collector from Düsseldorf, Germany. 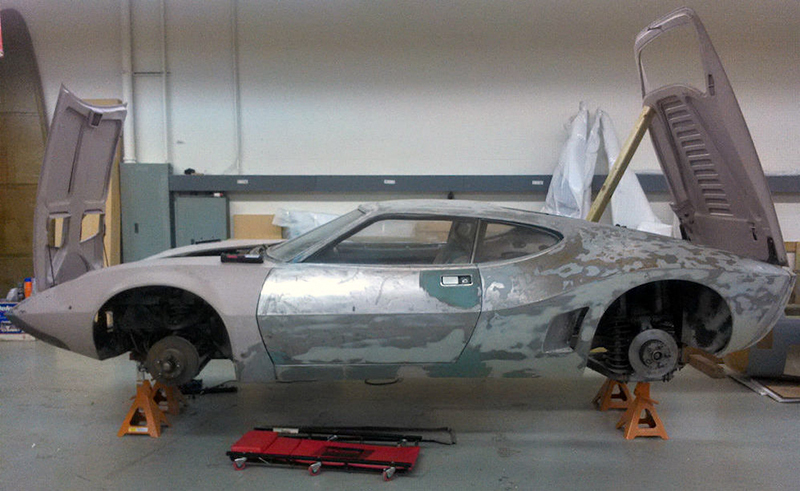 By that time, the AMX/3 once again needed restoration—not only for the deteriorating paint job but based on Wilms’s desire to bring the car’s aesthetics more in line with Bizzarrini’s original vision. 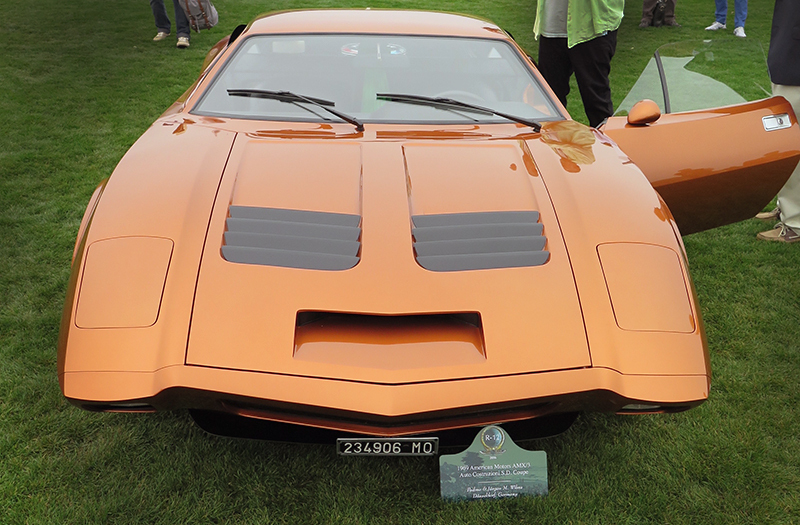 The use of AMC’s period-correct Bittersweet Orange color was a brilliant move, helping the AMX/3 to catch the attention of Concours judges. Remarkably, Number 4 was not the only AMX/3 to grace the 18th fairway at Pebble Beach this year. AMX/3 Number 5, owned by Joan and Bernard Carl of Washington, DC, was also on hand. The attention from high-brow collectors could very well start a rush for the three remaining examples—as well as other AMX models. In January 2015, an AMX/3 showed up for sale on eBay. Where are the remaining models? Savvy collectors might be advised keep an eye on eBay Motors. After all, in 2015, a surviving stripped-down AMX/3 (probably the second one) made a cameo appearance in an eBay auction. At the time, the seller said, “This car is ready for its second owner to restore it back into the Italian beauty that it once was.” There were 93 bids, but the highest one at $235,899 failed to meet the reserve.